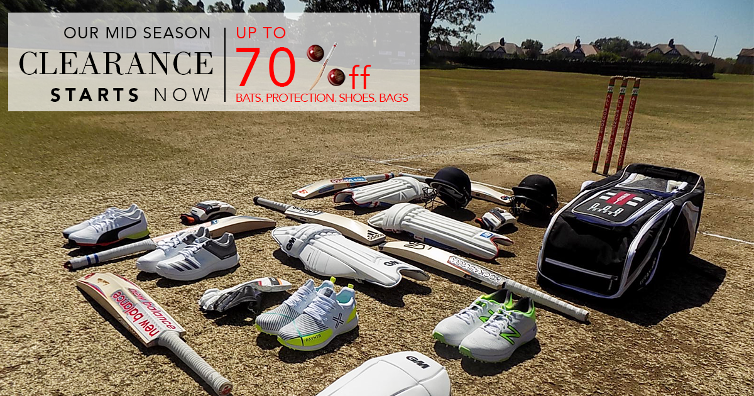 The premier sponsor of the Munster Cricket League, All Rounder Cricket, are currently undergoing their largest ever Mid Season Warehouse Clearance offering cricketer’s in the Munster Cricket League up to 70% off on cricket equipment including cricket bats, footwear, bags and protection. One of the largest cricketing retailers in the world, All Rounder Cricket is currently in it’s first year of a fruitful partnership with the Munster Cricket League, which the Union hopes can continue for some time to come. With a huge range of equipment in stock, All Rounder Cricket is able to provide for an array of cricketers; batsman or bowler, senior or junior. Not to mention, members of the Munster Cricket League can benefit from an additional 5% off using code MUNSTER at the checkout. So whether you’re a fast bowler whose boots have taken a pounding, or you’re a batsman who needs a fresh stick to help you get in some form, get yourself onto the All Rounder Cricket website to get yourself a mid season bargain!